Yesterday I wrote about how it is never too early to plan for your retirement, today and for the next couple of days, I will look at what you could do if you are younger. I wished I had received and listened to this type of advice when I was young. Are you in your thirties? 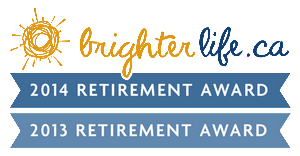 If you are, retirement may be something that you occasionally think about. If not, now is the time to start. While there are a number of benefits to saving for your retirement years when you are in your twenties, it is imperative that you start in your thirties. If not, you may find yourself with little or no money to retire with. One of the easiest ways to set aside money for your retirement years is by saving money. Take any bit of money that you are able to save, by eliminating unnecessary purchases, and put it away. To save the most money, examine your spending habits. Buying an expensive pair of jeans is a nice pick-me-up when you were twenty, but now is the time to start worrying about your future. Remember, apply any money saved to your retirement future. As for what you should do with your saved money, you do have a number of different options. One of the easiest approaches to take is to open a savings account. Often times, all you need is $50 to do so and your account should be fee-free, as long as you maintain the minimum monthly balance. As easy as it is to open a savings account, only do so if you are good with money. You will want deposit money into your savings account and forget all about it. If you have a passbook, hide it. Ignoring your savings account, aside from putting money into it, is the best way to leave it untouched. Unfortunately, with a savings account, it is much easier to get a hold of your money and you can do so without any immediate consequences. As nice as savings account is, there are many other profitable and convenient approaches for you to take. These include an RRSP plan in Canada and a 401K plan in the United States. If you are employed and full-time, you should be able to contribute to either plan. Have you already been doing so? If not, it is recommended that you start. Those in their twenties are encouraged to deposit at least 5% of their income into a plan. The same percentage is recommended for those in their thirties, as long as contributions were previously made. If this is the first year that you contribute then, 7% to 10% is recommended. 401(k)s are nice because they offer tax savings and many employers will match contributions. As previously stated, now is the time for you to start saving money. Eliminating unnecessary purchases and carefully tracking your spending is a great way to reduce your living expenses and save additional money for retirement. Before you put all of that money into a savings account or a Retirement Account, examine your debt. Do you have any? Retirement and debt do not mix, so take steps to rid yourself of debt and start doing so now. The best step to take is to reduce your expenses, which was outlined above and split the money saved from a retirement savings account and your unpaid debt. Now is also about the time that you should start thinking about what you want your retirement to be like. Many people think this is a step that is too early for someone in their thirties to take, but there is no harm in planning ahead. Where do you see yourself when you retire? What kind of home would you like to live in? Do you intend to travel? What activities do you want to enjoy? These questions can help you determine how much money you need to retire. Of course, you can still continue to save money for retirement even if you don’t know the answers to these questions, but a goal can help make sure you are able to retire comfortably and with ease. The above-mentioned steps are just a few of the many that you, a person around the age of thirty, can take to prepare for retirement. They are, however, the easiest steps to take.